Writer, Poet, Community Organizer and Activist Bao Phi will be releasing his second book of poetry Thousand Star Hotel, on Coffee House Press, and in conjunction will be looking to tour the book via a Kickstarter campaign. Definitely can't wait for the second book to come out which can be pre-ordered here. My second book of poems, Thousand Star Hotel, will be released by Coffee House Press on July 4, 2017. It is a resistance to being continually and violently erased, as all Asian Americans are, as well as a history for a future version of my daughter. It is meant to be both a reflection for those who have been historically marginalized as well as a window for those who have been less so. 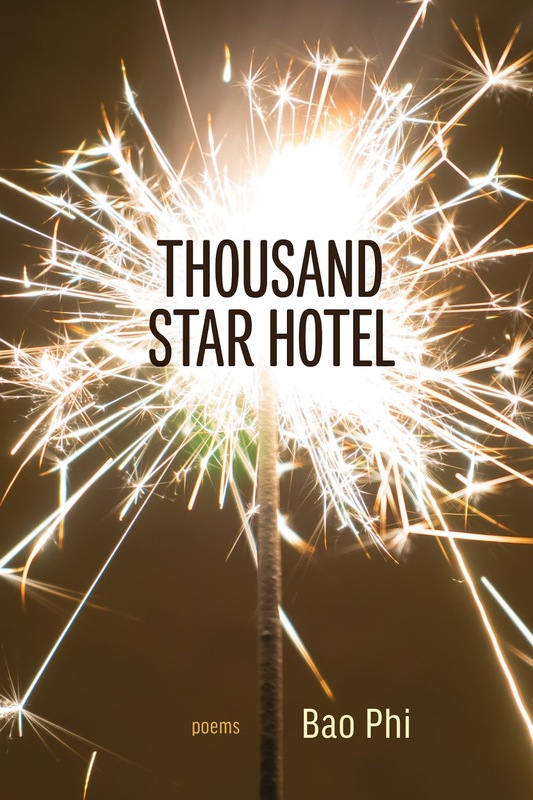 Why write THOUSAND STAR HOTEL? I didn’t really write personal poems until I became a father. When the nurse asked, “has anyone in your family been traumatized by war?”, a switch was flipped in me. Of course we had. But the idea of passing that trauma on to my daughter had not been real to me until then. If something should happen to me, my daughter would miss out on half of who she was. Though I was just a baby and don’t remember the traumatic handful of days fleeing to this country, I was fortunate to be raised in a family that shared those details with me. And growing up in Phillips, I didn’t miss a moment of what it meant to be raised as a Vietnamese refugee, an outsider no one wanted, in Minneapolis’s largest, poorest, and most racially diverse neighborhood. The American education system is already lousy when it comes to Asian American history – we might get a “Chinese New Year” day, if we’re lucky, and that’s about it. Let alone history about the Vietnamese. Most people’s education about Vietnamese Americans come from the intensely problematic white fantasy Miss Saigon, now resurrected on Broadway. While I would never try to position myself as “authentic” or speaking for an entire group of people, it is a core principle of my work that I challenge and explode racist notions of Vietnamese and Asian Americans. Poetry is the best tool I have in this endeavor, a tool I’ve refined over decades of dedication to my craft, and it’s a tool I deeply love. Why take THOUSAND STAR HOTEL on tour? As a longtime spoken word artist and touring poet, the best way to spread word of my book is through my readings and performances. I’m at a crossroads in my career where I am published by a nonprofit press but no longer considered ‘emerging’; it is challenging to procure funds to tour, and as a single co-parent with a full time job, knocking a tour out with nonstop driving and sleeping on couches is not an option. What are people saying about THOUSAND STAR HOTEL? Anyone who has been on a long road trip knows that things occasionally go wrong. A plane gets oversold or delayed, our place to crash one night could fall through, or a family emergency could come up. I will do my absolute best to honor all the rewards should we reach our goal, but if circumstances beyond my control should arise, I may need to work with you to creatively fulfill those goals. I have yet to secure dates and locations for many of those cities, but as a touring spoken word artist with over two decades of experience booking and managing my own career, I am confident I can get it done. Pledge to the Kickstarter campaign here.